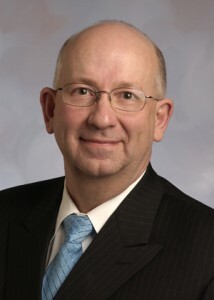 Dr. Brad Fenwick joined Elsevier in August as Senior VP for Global Strategic Alliances. Previously, he held research executive roles as Vice Chancellor for Research and Engagement at the University of Tennessee, Knoxville, where he also served as Professor of Pathobiology in the College of Veterinary Medicine, and VP for Research at Virginia Tech. As a lifelong academic, I'm often asked, why did you decide to become a senior executive at Elsevier? It's easy. My passion is research to advance science. And I loved my time on campus. But given Elsevier's commitment to research and research universities, and its broad reach across the system, this was an incredible opportunity to serve the entire academic community. Mine is a new role at Elsevier, reflecting the company's commitment to placing renewed emphasis on the value it brings to the research community. Going well beyond the company's traditional review, publication and dissemination of high-quality, trusted research, my job is to work with universities to support the development of research. How? As a large publisher of academic research, Elsevier sees a steady stream of advanced scholarship. From this position, we are developing broad insights, tools and processes that universities can use to advance the efficiency and effectiveness of their research. We want to support the pipeline of research articles and keep it full and flowing rather than simply "feeding" at the end. Along the way, we're also evolving from the historically transactional role with universities to working in partnership, yielding additional mutual benefits that arise through collaboration. More broadly, Elsevier recognizes that research universities need help from their partners in facing extraordinary challenges today. While expectations for research to yield solutions to today's global challenges rarely have been higher, universities are grappling with funding declines, rising global competition, intensifying federal compliance requirements and public and political pressure to prove their value as they also minimize tuition increases. In all my years in academia, I have recognized the value that Elsevier brings to the research community. Through its traditional contributions, Elsevier supports peer review to validate research while also improving this critical process; enhances articles and makes them visible and accessible; and overall provides broad access to high-quality, trusted published research, guarding the integrity of research, preserving the scientific record, and supporting and developing the global research community. But I was also attracted by the new direction Elsevier has taken to innovate and collaborate with the university community to advance research and science today. A recent example is Elsevier's funding of an independent study involving research administrators at 25 top research-intensive public and private universities, which I was fortunate to help conduct. The goal was to investigate the approaches institutions are adopting to maintain high-performing programs amid mounting economic and political pressures. 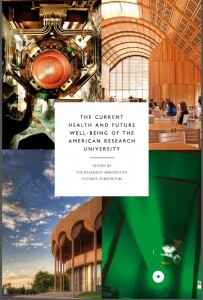 The result, a report titled, The Current Health and Future Well-Being of the American Research University, is thought-provoking reading for a national discussion identifying the strategies needed to ensure the continued leadership of US research universities and our nation's global competitive advantage. You can read more about the report in Elsevier Connect. We are also harnessing the benefits of bibliometrics – the science of understanding publication. Looking across all paper authorship, Elsevier derives useful findings for universities seeking to make better decisions in how to conduct their research. For example, we have found that papers published across disciplines have more impact and are cited more often than those of a single discipline. Likewise, papers co-authored by researchers from different nations are cited more frequently than those by authors from the same country. Researchers who locate to another nation and then come back tend to produce more papers that are cited more often following their return. Information like this, otherwise largely unavailable to individual universities, can now be broadly available through Elsevier. Such insights help universities make the kind of sharper research choices they need today. In the past, efficiency and effectiveness of research were not always the first considerations when universities had enough resources to make best guesses and be wrong. In this challenging economic climate, precision in choices and decisions is critically important for universities. On a personal note, like many academics, I've been involved in research and knowledge creation throughout my career, and helping individual institutions and faculty succeed in that regard has been particularly satisfying. At Elsevier, I can harness the intellectual capital we obtain through our partnerships with many universities to help all universities, and play a transformational role in how research is conducted. In that sense, this new role is a "force multiplier" – and the chance of a lifetime and career that is both humbling and exciting. Let me know when you're next in Manhattan. I've been looking forward to seeing you again and want also to discuss the possibility of a new journal based in leadership studies.